Ø From the grape skin: The content is low from this source. Ø From Polygonum cuspidatum: a Chinese traditional medicine which contain stable, high content of resveratrol. 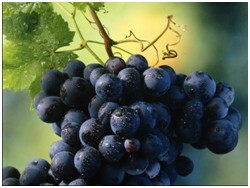 Plant source: Vitis Vinifera L.